Since the new year is just around the corner, I thought it would be appropriate to re-post last year's blog about New Year's Resolutions. Hope you find it useful, and that you enjoy a happy and healthy new year! Indeed, one indication of this is the pervasive use of to-do lists, which attempt to keep a handle on one’s responsibilities and are, according to one LinkedIn study, used by 63% of professionals. That would be great if we reliably accomplished what we set out to do. But the startup iDoneThis analyzed their users’ data and discovered that 41% of the to-do list tasks users inputted were never accomplished — little wonder in a world where the average professional has 150 tasks to be done at any given time, according to research by psychologist Ray Baumeister and John Tierney. The point of goals, of course, isn’t to successfully complete tasks we blindly set ourselves to years ago. Nor is it to maximize our accomplishment of small bore trivialities. Instead, what counts is our ability to master the right kind of big goals — the ones that can change your life, like positioning yourself for a promotion to the C-suite or writing a book or launching an entrepreneurial venture. You can only accomplish those kinds of goals when you’re willing to question assumptions regularly and re-evaluate as necessary, and when you give up the temporary dopamine hit of crossing easy tasks off your to-do list, in favor of making a dent in the handful of major projects that really matter. Of course, many of us do love to make New Year's Resolutions, and then we joke about our inability to keep those commitments. Here's Jimmy Kimmel's funny take on abandoning your resolutions just a few days into the new year. I recently read a terrific blog post by Peter Friedes, retired CEO of Hewitt Associates. He writes about the importance of self-reflection for leaders. He begins by noting that, "We humans tend to evaluate others through the lens of our own best traits." In other words, if someone has strengths similar to our own, we tend to evaluate them very positively. On the other hand, he notes that, "Less flexible managers undervalue traits they are not personally good at." That's one reason we end up hiring people who are fery similar to us. Friedes argues that we should take a slightly different approach. We should engage in self-reflection, identify our strengths AND weaknesses, and evaluate others accordingly. We should not undervalue the skills and capabilities that we lack. Instead, we should look for people who excel where we do not. A good team has people with complementary skills and abilities. Moreover, we should then try to learn from the people around us, so that we can enhance our own capabilities. The researchers conducted a series of experiments to explore this effect. In their studies, they demonstrate that even simply the self-perception of expertise can lead to closed-minded behavior. In one experiment they provided people false feedback on a simple test, leading some individuals to believe that they had a great deal of expertise, while others felt that they were not knowledgeable at all relative to most others in the study. The individuals who were made to feel as though they were experts exhibited closed-mindedness in a subsequent aspect of the study. That effect is pretty incredible, given that the individuals were not ACTUALLY experts. The feedback that they received was MADE UP! The Demise of Movie Theaters? Many analysts have focused on the potential demise of traditional cable television service, given the pace of cord cutting and the rapid rise of direct-to-consumer services such as Netflix and Hulu. Perhaps more attention should be focused on the fate of movie theaters in this new entertainment era. 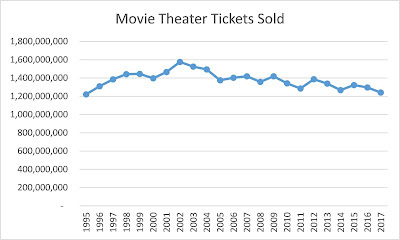 The chart above shows that movie ticket sales in the United States have been declining over time, having peaked back in 2002. However, revenue has risen from $5.31 billion in 1995 to $11.05 billion in 2017. 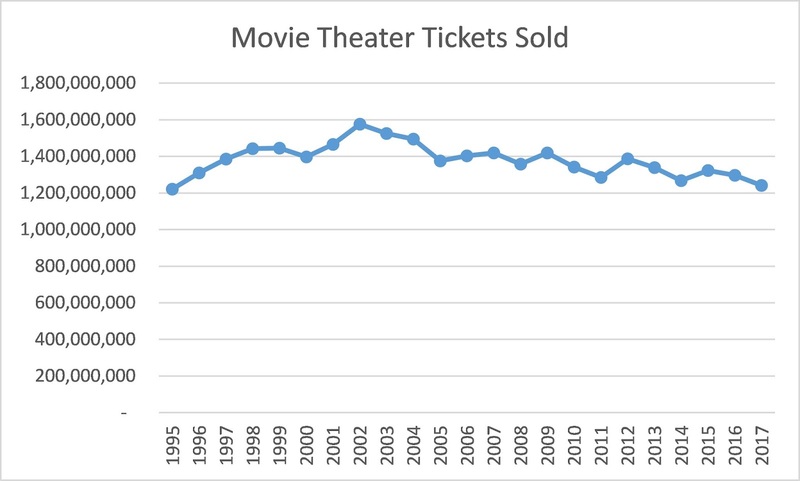 Movie theaters have driven revenue by raising average ticket prices. Usually a film’s box-office revenue is split evenly between exhibitors and the studio. But Disney previously has gotten theaters to hand over a larger share—sometimes more than 60 percent—on its biggest, most popular films, such as the Star Wars series. Now it could try the same tactic with Fox’s Avatar, which has four sequels in the works. “While the future of movie exhibition looks increasingly dim, a Disney-Fox merger will elevate its level of pain,” says Rich Greenfield, an analyst at BTIG LLC. The notion that Disney could take a larger share of the box office revenue seems quite plausible. Movie theaters would suffer additional pain unless Disney/Fox can reinvigorate movie production and get more hits into theaters. Still, it seems unlikely that new hits will reverse the long term trend taking place since the early 2000s. In our extensive study of the Columbia space shuttle accident, Amy Edmondson, Richard Bohmer, and I examined the culture and leadership at NASA. Specifically, we analyzed the forces that made it difficult for engineers such as Rodney Rocha to speak up regarding their safety concerns, and we looked at how leaders did not ask probing questions to elicit dissenting views. When I teach the case to engineers and other technical experts, I often hear them say that management needs to understand how to ask engineers the right questions, and how to interpret their results. They argue that engineers were not going to scream, "There is a safety-of-flight risk!" unless they had conclusive evidence. The engineers' lack of complete certainty might lead to them to give answers that that are interpreted incorrectly by management. Organizational leaders might be looking for a definitive statement expressing alarm and grave concern, but they won't get it if there is scientific uncertainty. 1. Know the audience. How do they think? What are their backgrounds? What types of analysis do they find compelling? What type of questions are they likely to ask? What do they care about the most? What are their goals and objectives? You want to build a message to which they will be highly receptive. Don't focus on the way you think; focus on how they think. One key thing to consider - you may have people with very different backgrounds, interests, and perspectives in your audience. You won't be able to appeal equally to all parties. You have to decide who your target audience is and tailor your message to them. 2. What is the ONE THING you want them to take away from your presentation? You might have a lot of say, but it's not likely that they will remember it all. What do you want them to recall moving forward? Don't just consider what that one thing is... focus also on why that one thing really matters to them and to the organization. Ask yourself: Why should they care about this one thing? 3. Give context and use examples. You have to tell a story. You can't just offer them a list of bullet points. Paint a vivid picture for your audience. Embed your points in a story about how and why you have a solution to an important problem facing the organization, or a plan to capitalize on a critical opportunity. Think about the important elements of a story as you construct your message. Who are the key characters? What is the setting and the basic plot? Where is the conflict or tension in your story? How does the tension become resolved in the end? 4. Watch your language. Naturally, you want to avoid jargon and overly technical wording. Moreover, you should be careful about nonverbal cues as well. People watch your body language when you speak and present. In particular, they watch your nonverbal cues as you answer their questions. Are you showing them that you are listening and trying to understand their concerns? Are you demonstrating that you care about what others think? Andras Tilcsik and Juan Almandoz published an interesting article in the Rotman Business School's management magazine this year titled, "When Expertise Becomes a Liability." They studied over 1,300 banks during the 1996-2012 time period. 124 of those banks failed (slightly less than 10%). In conditions of decision uncertainty, having more domain experts on the board of the bank meant a higher probability of failure. They argue that having some domain experts is important and essential, but there can be too much of a good thing. Having a few people with expertise in other domains can be quite beneficial. Why the liability of expertise? They argue that a high proportion of domain experts on a board leads to three problems. First, domain experts can be very entrenched in their views, and they may be unwilling to look at issues in new ways as the environment changes. Second, domain experts may exhibit high degrees of overconfidence in terms of their ability to make projections and forecasts. Finally, a high proportion of domain experts might be associated with a lack of constructive conflict and debate within the board. Why? Non-experts may be unwilling to challenge conventional wisdom, ask tough questions, or offer dissenting views if they are greatly outnumbered by domain experts on the board. This week, Disney acquired a significant portion of the 21st Century Fox business for $52.4 billion. What is the rationale for the deal? Fortune's Andrew Nusca took a crack at explaining why this deal makes sense. He begins by arguing that, "scale matters." The traditional entertainment industry is consolidating (see: Comcast-owned NBCUniversal; Verizon-owned AOL and Yahoo; the pending AT&T-Time Warner deal) as new entrants from Silicon Valley and beyond—Netflix, Apple, Amazon, Google and Facebook—enter the fray. Size is an important leverage point to control pricing and distribution. Hmmm... I'm not so sure that scale should be the primary rationale for this deal. Does Netflix have the type of scale that some of these other firms have? Has that stopped them from disrupting the industry and generating strong growth and profits? To me, scale seems to be a far too simplistic explanation for this deal. Scale alone will not solve the problem of customers defecting from ESPN and depriving Disney of substantial cable fee revenue streams. The article goes to discuss the importance of franchises. Nusca cites the acquistion of franchises such as X-Men, Avatar, Fantastic Four, Deadpool, and The Simpsons. Ok, now we are talking. Disney CEO Bob Iger has had a great deal of success acquiring characters and franchises (Pixar, Marvel, Lucas Films), and then leveraging those franchises using the broad array of businesses in the Disney portfolio. Nusca also cites technology. He writes, "Disney’s acquisition of Fox’s interest in Hulu gives it majority interest in streaming-media player Hulu. It also allows Disney to apply streaming technology from BAMTech, an earlier acquisition, to Fox assets." We have all been reading about the struggles in Disney's television business, particularly at ESPN. They have been discussing several experiments with streaming services, and they have removed content from Netflix and will be moving it to their own streaming service in the near future. In the end, Disney has to solve this problem with regard to cord cutting and streaming. Perhaps the Fox deal will help them do that. The scale achieved through the deal isn't the solution though... success will come if they find a new way to distribute content to consumers in a world of Netflix, Amazon Prime, and rampant cord cutting, skinny bundles, etc. That's the strategic challenge that will shape Disney's future and ultimately affect the outcome of this bold acquisition. 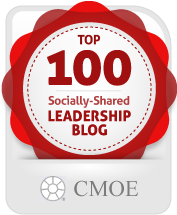 I recently came across an interesting blog post by Cheryl Bachelder, formerly CEO of Popeye's Restaurants. She executed a remarkable turnaround of the restaurant chain during her tenure there. Bachelder is a strong advocate for servant leadership. In this blog post, she describes the symptoms of what she calls "hurry sickness" - arguing that always being in a hurry actually damages the organization you are trying to lead. Here's an excerpt. Full disclosure: I suffer from what psychologists’ call “hurry sickness.” I didn’t know it had a name until recently, but nonetheless, I’ve always known that I suffer from it. I jam-pack my days. I overschedule. I say “yes” way too often. The benefits of my disease include getting a lot done, being admired by others who do less, and feeling an almost constant adrenaline rush. It is exciting to be in a hurry! But there are serious downsides to this disease. One is that you live in a constant state of anxious worry about dropping one of the plates you are spinning. Another is that you will likely have stress-related ailments, some harmless and some life-threatening (eventually). But here is something you may not have thought about as much. You can’t serve the people or the organization well, and always be in a hurry. Your thinking suffers. You are responsible for calling out the daring destination for your team or organization. They are counting on you. It needs to be thoughtfully developed and soundly assessed – before you risk their lives on your plan. Great thinking does not happen in a hurry. It needs rest, quiet, and breathing room to develop. Your people suffer. You are called to serve the people well. But you cannot serve them well without spending time with them. Unhurried time. Time to know their strengths, values, experiences, and concerns. When your calendar is overcrowded, you almost always will choose an obligation over a commitment to your people. Not a good idea. Your results suffer. When you try to do too much, you get less done well. You are human – and you simply can’t get it all done to perfection. Your team needs you to lead them to a win – to top performance. You’re not going to get them there without focus on a few, vital things. An emerging body of research demonstrates that creative performance on both divergent and convergent thinking tasks can be improved if the effects of fixation are mitigated by setting a task aside, such as through breaks, distractions, or interruptions (Jett & George, 2003). 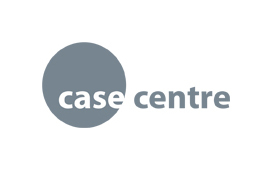 Breaks are purported to free individuals from their fixated mindset by ‘‘reducing the ‘recency’ value of inappropriate strategies” (Ochse, 1990, p. 198). For example, brief breaks during brainstorming sessions can increase the number and variety of ideas generated (Kohn & Smith, 2011; Paulus & Brown, 2003). Sim- ilarly, performance on convergent thinking tasks (e.g., the RAT) improves as the break time between attempts is increased because cognitive fixation ‘‘wears off” over time (Smith & Blankenship, 1991). The scholars then developed a set of experiments to examine the impact of "task switching" - i.e. setting aside a particular task to perform some other work. They found that, "Participants who continually alternated back and forth between two creativity tasks outperformed both participants who switched between the tasks at their discretion and participants who attempted one task for the first half of the allotted time before switching to the other task for the second half." Note that the study does not justify rampant multi-tasking on the part of employees. Creative problem-solving still involves a willingness to focus on a particular problem intensely for a period of time. However, the ability to step away from time to time can be very effective. Note, though, that the task switching worked best when it wasn't left to the discretion of the research subjects. That's an interesting finding. It means that team leaders may want to take responsibility for thinking carefully about to either schedule some task switching into creative work, or intervening when they feel appropriate to give people a break from their focus on a particular problem. Specifically, we found that hierarchies help teams generate, identify, and select new ideas by performing three critical functions (and then getting out of the way): bounding solutions, converging ideas, and structuring processes. Bounding solutions: Constraints actually can be conducive to innovation. Hierarchies can help establish boundaries and constraints that will be helpful as people generate possible solutions to a problem. Convergence of ideas: Hierarchies can help teams winnow the ideas down after an extensive brainstorming process. They can help teams by establishing evaluation and selection criteria, for instance. Alternatively, they might step in to help a team come with up techniques for narrowing down a list of alternative solutions. Structuring processes: Hierarchical structures can help establish ground rules for participation and engagement in a problem-solving process. Hierarchy also helps insure that people have well-defined roles. Role clarity can be very important in a group, particularly when its tackling complex problems. The authors did not cite the recent research of Stanford's Melissa Valentine, but that would have buttressed their arguments. Valentine explained her research in a recent podcast with Bob Sutton (Friction podcast). Valentine argues that some structuring processes and mechanisms can help teams be more effective. She describes her research in chaotic health care situations such as emergency room care. It's a great interview. Check it out! Do Materialistic CEOs Take More Risk? Professors Robert Bushman, Robert Davidson, Aiyesha Dey, and Abbie Smith have written a fascinating paper titled, “Bank CEO Materialism: Risk Controls, Culture and Tail Risk.” They actually measured how materialistic bank CEOs were, and they examined the impact that the CEO's personal value system might have on the risk culture of the banks that they led. Their sample included 284 firms and 445 CEOs during the 1992-2013 time period. They examined personal ownership of luxury goods as a proxy for the "materialistic" nature of a bank CEO. They labeled CEOs as materialistic if they owned an automobile that cost more than $75K, a boat longer than 25 feet, or a home worth more than twice the median price of homes near their company's headquarters. They also ran their analysis using higher cut-offs for each of these luxury goods (for example, they raised the purchase price of cars to $110,000). Then, the researchers also examined the banks' risk management cultures. They did so by collecting data on the risk management index of each bank. This index draws on data from reports that the banks file with the Federal Reserve each year, and it strives to evaluate the "strength and independence of the risk management function" at each institution. What did they find? 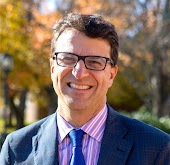 The scholars report, "Using an index reflecting the strength of risk management functions (RMI), we find that RMI is significantly lower for banks with materialistic CEOs, and that RMI significantly decreases after a materialistic CEO succeeds a non-materialistic one and increases after a non-materialistic CEO replaces a materialistic CEO." Finally, the scholars report an increase in the number of materialistic CEOs over the years. I find the study very interesting, both because of the findings and the great care that the scholars took to try to measure key variables. We all might believe intuitively that value systems matter, but this study actually shows a relationship between a leader's values and the behavior of the organization that he or she leads. Naturally, these scholars are not saying that buying a big house or a large boat is inherently bad. However, they are suggesting that we should pay attention to actions and decisions that may reveal a leader's value system. Their personal purchasing decisions are one piece of a larger picture, and we should pay attention to all the cues available to us. 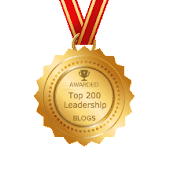 In the end, it doesn't mean we should reject a leader who may display signs of being materialistic...but we should be a bit more vigilant about the impact that the leader may have on the organization's culture. 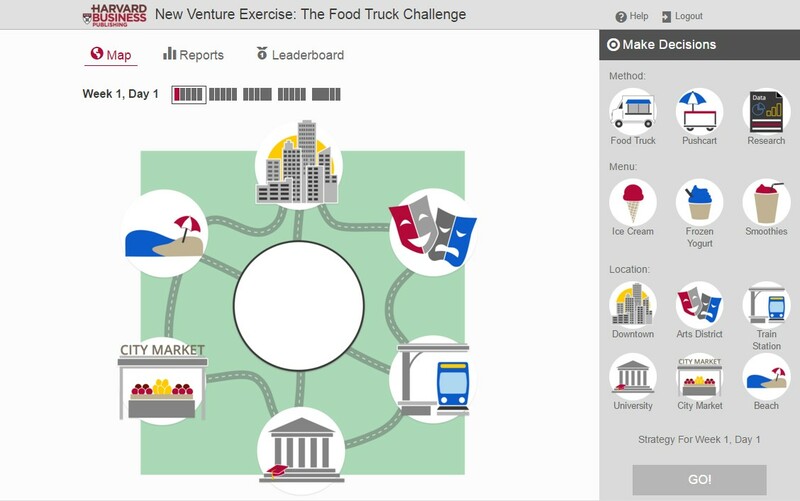 All-New Version of the Everest Leadership and Team Simulation! I'm pleased to announce the release today of an all-new version of the Everest Leadership and Team Simulation. 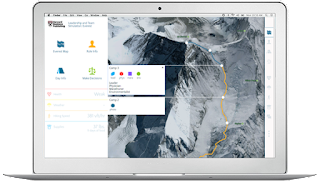 This version (V3) provides an updated user experience, as well as all-new scenarios on the mountain. Instructors can continue to use the original scenarios, or they can choose new situations and problems that students must address and solve. 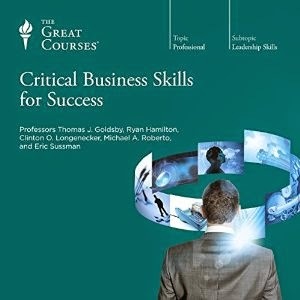 For those not familiar with this simulation, it provides a highly engaging and interactive experience for students and executive education participants. The simulation aims to teach important concepts about team dynamics, decision-making, and group learning. I'm grateful to have collaborated once again with co-author Amy Edmondson and the incredible teams at Forio and Harvard Business Publishing. I hope instructors will learn more about this new version and let us know if they have any questions! The link above provides a description of the simulation as well as a preview of the experience. In 30 years time, we’ll look back at, with such fondness, the way we worked, not necessarily what we did. I think the advantage is we have so much trust as a team that we don’t censor our ideas because we are nervous and scared that they will sound absurd . . . Very often it seems to be you listen to the biggest, loudest voice. A lot of this process is about listening, I think. What we’ve found is very often the very best ideas come from the quietest voice. And if you’re not listening, you’re going to miss that. And also when you have trust, it’s not a competition. We don’t have to deal with the bizarre game of all of the problems involved with a thrusty sort of ego. Our interest isn’t some leaf table with points. What we’re interested in as a team is, we’re genuinely, genuinely trying to figure out how we can make the very best product possible. And of course, there are many occasions where we don’t get there. But that’s our sincere hope. How can I hold people accountable without creating a culture of finger pointing, blame avoidance, and excuse making? Leadership coach and consultant Peter Bregman argues that leaders must achieve clarity on five dimensions if they wish to build a culture of accountability in their organizations. Expectations - make sure your people know the objectives and outcomes that you expect them to achieve by a particular date. Capabilities - make sure the people have the skills and capabilities to achieve those goals, and if they don't, put in place a plan to develop their capabilities accordingly. Ever travel to a foreign city? We've all heard that, "Travel broadens the mind." But beneath this cliche lies a deep truth. Things stand out becuase they're different, so we notice every detail, from street signs to mailboxes to how you pay at a restaurant. We learn a lot when we travel not becuase we are any smarter on the road, but because we pay such close attention. On a trip, we become our own version of Sherlock Holmes, intensely observing the environment around us. We are continuously trying to figure out a world that is foreign and new. Too often, we go through day-to-day life on cruise control, oblivious to huge swaths of our surroundings. To notice friction points - and therefore opportunities to do things better - it helps to see the world with fresh eyes. Psychologists distinguish between two ways of perceiving the world around us and processing information - top down vs. bottom up processing. In top down processing, we draw on our past experiences and "fill in the blanks" when we encounter a particular place or situation. We don't have to notice every detail, because a few signs prove sufficient to let us know what we are seeing. We walk into a library, and we know quickly based on a few visual cues that we are in a library. We don't need to attend to all the details. In bottom up processing, we start by perceiving all the little details, and we put the pieces of the puzzle together gradually. In day-to-day life, as the Kelleys explain, we are on cruise control, using top down processing to capture the essence of a situation quickly and fill in the blanks to paint the picture in our mind. When we travel, we engage in bottom up processing, because we can't rely on past experience to help us. As such, we notice lots of little things. Noticing the little opportunities for improvement and innovation can be crucial in the creative process. Thus, thinking like a traveler is essential to creativity. The youngest can teach the most experienced in an organization at times. They have a fresh perspective, and they are often more up to date about new societal and technological trends. Moreover, they may not fear challenging the conventional wisdom, as compared to some more experienced employees. Organizations have formalized this notion, describing it as reverse mentorhship. My earliest memory of such a practice comes from Welch's time as CEO of GE. (video below). I had an interesting discussion today, though, with a group of executives about the notion of reverse mentorship. One executive mentioned that it can be frustrating at times when young employees put forth new ideas on a frequent basis. It's easy to push back and reject what feels like "pestering" or "badgering" by that individual. As he said to me, you just want to say, "Look, I have more experienced than me. Trust me. There's a reason why we do it this way." However, this executive noted that he has learned to restrain himself. He tries hard to stay open to these new perspectives, and to withhold any frustration. Why? This young person has developed a solid track record. The individual is getting the job done, with a strong likelihood of becoming a future leader in the organization. That track record and potential has earned the executive's trust. It translates into a willingness to listen, even if some of the ideas are off track. If the person wasn't getting the job done, that would be another matter. What a fascinating discussion about monitoring and controlling your own response to young people's ideas in your organization, as well as thinking about when you might be willing to tolerate a little more "badgering" and "pestering" by an inquisitive young mind. Becoming a Terrific Facilitator: All About Preparation! 1. Physical space & materials: What type of physical space do you require? What materials should you have available for the participants? Remember that environment shapes behavior. How you design the environment will have a significant impact on the way people interact during your meeting or workshop. If you want collaboration, think about how to promote that. If you want to stimulate creativity, consider the types of materials that might be fuel for innovative thought. 2. Purpose & desired outcomes: What is the intent of this meeting or workshop? What are the desired outcomes? Make sure that everyone understands the intent and the desired end state. 3. Shared norms and ground rules: How will the group members interact with one another? What rules of engagement do you want to establish and enforce during the meeting? I suggest creating a poster for the wall that defines these norms and ground rules. 4. Pre-work: Often, we skip the pre-work because we are not sure that members will actually complete it. However, we can get much more accomplished if people come to a meeting or workshop already having done some reading, conducted some analysis, or reviewed certain data. Keep the pre-work manageable, but consider assigning some work to be done before you gather together. 5. Instructions: If you have certain activities planned, be sure you are prepared to offer clear and concise instructions. Run the instructions by a colleague before the meeting, and ask for feedback. Make sure that these instructions make sense to your colleague, and that he or she interprets them as you intended. 6. Technology: What technology will enable an effective conversation? Don't overdo the slides. Focus on creating a good dialogue, and use technology to stimulate that healthy give-and-take. Don't put excessive technological demands on the participants, particularly if they are not particularly tech-savvy. Test the technology beforehand. Nothing derails a meeting more than having to fiddle with a computer that isn't working properly, or waiting for A/V help to arrive. 7. Food! Ok, nothing derails a good workshop like bad food and drink, or a lack of food and drink. Maintaining energy in the room is key to good facilitation, and a bit of fuel can be very helpful. What are the main arguments you are trying to counter? What are the reasons and rationalizations you need to address? What’s at stake for the key parties, including those who disagree with you? What’s at stake for you? What levers can you use to influence those who disagree with you? What is your most powerful and persuasive response to the reasons and rationalizations you need to address? To whom should the argument be made? When and in what context? I think these four questions are incredibly helpful. Moroever, I'm particularly interested in the second question. I think that question pertains to any conflict in the workplace, even if it has nothing to do with ethics. Suppose you want to question a plan of action proposed by another manager. Asking yourself what they have at stake in this situation, how invested they are in this plan, can be important, as it may help you understand the extent to which they will be defensive. Moreover, it will help you understand what might trigger interpersonal friction and conflict in this situation. If you want to engage others in a productive debate (i.e. constructive conflict), it's crucial to understand how high the stakes are for the other party, to understand where their passion and emotional investment resides. We are going to grow multilaterally—digitally and among our traditional partners. We looked at the market and realized we were totally underpenetrating both...We knew it wasn’t going to be cannibalistic. There are some people who prefer a traditional bundle—maybe it’s a skinnier bundle and doesn’t have 180 channels in it. But for HBO, skinnier bundles have been a good thing, because if you take the average price of a cable or a satellite or a telco subscription down from $100 to, say, $65 or $70, that means HBO—which has always been a la carte—is a much more digestible purchase. Skinny bundles allowed the cable, satellite, and telcos to package us more effectively. Opportunistically for us, we’ve been able to parallel-process and to grow digital. One has not been at the expense of the other. As I like to say, nobody is doing us a favor when they sell HBO, whether it’s digitally or whether it’s in the traditional ecosystem. They’re selling HBO because it’s a great product and it helps make their bundles stickier—and because they know their consumers want it. That quote is packed with some fascinating insights. Perhaps most interestingly, HBO did not buy into the conventional wisdom that skinny bundles would serve as a disruptive threat to its business. Instead, it asked the question: How might we take advantage of this trend to actually grow our business? What they found was that the offering of skinny bundles by cable companies provided more disposable income and purchasing power for the consumer, enabling them to add HBO while staying within their budget. HBO didn't begin by assuming that these trends regarding cord-cutting and skinny bundles were simply threats. They reframed these issues as opportunities, and asked the "how might we" questions that enabled them to discover new growth opportunities. More companies need to think in terms of "opportunity framing" when their business environment shifts. What are the benefits of "opportunity framing" in these situations? Research suggests that we can act very rigidly when we frame situations as a threat. We often simply "try harder" - doing more of the same rather than thinking differently. We act much more flexibly and adaptively when framing situations as opportunities. We encourage more experimentation and learning, and we find new ways of working. Clark Gilbert's research suggests that initially viewing a situation as a threat can help an organization to mobilize resources and get management's attention. However, successful adaptation requires reframing the situation as an opportunity, much as HBO has done in this case. We should all be thankful for the many blessings that we have received. We should express our gratitude to others more often. As leaders, saying thank you more often will help us engage our employees and enhance their satisfaction and productivity. Who could quibble with these assertions. They represent common sense to most of us. Does research back up our attitudes regarding the benefits of gratitude? An impactful series of experimental studies by Robert Emmons and Michael McCullough demonstrated some of the key benefits associated with counting our blessings on a regular basis. The two scholars conducted several studies regarding gratitude. In each experiment, they directed some subjects to list their blessings on a regular basis. Meanwhile, they directed others to list the hassles that they had experienced. A control condition existed as well. What did they find? Counting your blessings had substantial emotional and interpersonal benefits. For instance, in one study, they found that people who counted their blessings on a weekly basis "felt better about their lives as a whole, and were more optimistic regarding their expectations for the upcoming week" relative to those who listed the hassles that had affected them during that week. The researchers also found that the people in the "blessings' condition felt better physically and exercised more often during that week. In a second study, they asked people to count their blessings on a daily, rather than weekly, basis. They found that people in the blessings condition experienced higher levels of positive affect. Moreover, these individuals were more likely to have helped others as compared to those in the "hassles" condition. In a third study, the scholars found that, "The gratitude intervention also appears to have improved people’s amount of sleep and the quality of that sleep. Furthermore, the effects on well-being (positive affect and life satisfaction) were apparent to the participants’ spouse or significant other." In sum, counting our blessings can have real benefits for us and for those around us. We should express our gratitude on this Thanksgiving, but more importantly, we should pledge to be more grateful on a weekly, and even daily, basis moving forward. Happy Thanksgiving everyone! Campbell and other packaged-food companies are facing difficulties in attracting consumers who increasingly want foods that they see as healthier, more natural and more environmentally sustainable. Companies also face a changing food-retail environment, with the rise of meal-kit providers, the growth of deep-discount chains in the U.S. and the food-selling ambitions of Amazon.com Inc. and its Whole Foods Market. Campbell executives have said they intend to use acquisitions and investments in new products to help lift the company’s fortunes and expand from its mainstay soups. In July, the company said it would buy organic-soup maker Pacific Foods for $700 million, as part of its natural-food push. It now expects to complete that acquisition by the end of the year. It has also invested in some food-related startups. There's a lesson here about how you frame a problem. To me, the challenge facing Campbell Soup is much broader and deeper than simply the rise of organics or the margin pressures from Amazon and Wal-Mart. Campbell Soup faces a problem with respect to how people shop the grocery store these days. Increasingly, people are spending more time on the perimeter of the store and less time in the center. They are buying fresh fruit and produce, fresh meats and fish, and frozen foods and dairy items. They aren't buying as many packaged foods. Campbell Soup is in the center of the store. Adding a line of organics won't solve that problem. The issue is broader than organic soup displacing conventional soup. The broader challenge is that people are purchasing fewer packaged food items, period. There's a lesson here for all firms. Always make sure you think carefully about how you frame the competitive problem you face. How you frame a problem will, of course, shape the nature of the options you generate for future strategic action. Several weeks ago, I had the privilege (for the second time) of hearing former Baxter CEO and current Kellogg Professor Harry Kraemer discuss values-based leadership. Kraemer offers four principles for leaders to consider, as they try to lead with purpose, conviction, and integrity. This short video introduces you to the four principles. For a more in-depth discussion by Kraemer, you can click here. In this first-of-its-kind study, the authors (NYU Stern PhD student Christopher To , NYU Professor Gavin Kilduff, University of Arizona Professor Lisa Ordóñez, and Wharton Professor Maurice Schweitzer) examined archival data from more than 2,000 regular season NFL games, totaling almost 500,000 unique plays, and found that teams, when competing against a rival team, were 37% more likely to forgo kicking an extra point to instead attempt a two-point conversion and 17% more likely to “go for it” on fourth-down by running a play instead of punting or attempting a field goal. A related behavioral study with more than 140 University of Arizona students confirmed their results and showed perceived rivals took 17% more risks than non-rivals, which was partly explained by a 11% greater increase in their heart rate. As a New England Patriots fan, I immediately think of Bill Belichick's ill-fated decision to go for it on Fourth and 2 yards to go from the Patriots' own 28 yard line against the Colts in 2009. In fact, the legendary coach has made some of his riskiest decisions against heated rivals in big games. Belichick didn't have much confidence that his defense could stop Peyton Manning on that night in 2009. Manning and the Colts, of course, were huge rivals of the Patriots in those years. The coach made a very risky decision, hoping to keep the ball and run out the clock rather than give Manning another opportunity on offense. It didn't work. The Patriots did not make a first down, and Manning promptly marched the Colts into the endzone for the victory. Sometimes, rivalry might indeed cause us to make ill-fated risky choices. You make a bold decision, and if it doesn't work, you take a great deal of heat. That's what happened to Belichick on that night. I'm not sure it was a bad decision actually, but it certainly was highly risky. On the other hand, sometimes heated rivalries can cause us to take innovative risks. Not all risk-taking is bad. Sometimes, it involves creative choices spurred by competitive rivalry. Consider another very famous Belichick decision. In 2003, the Patriots trailed the Denver Broncos (another key rival) by 1 point with just over 3 minutes left in the game. The Patriots faced a fourth down and ten yards to go from their own 1 yard line. A punt from there would be difficult to execute, and it would probably give the Broncos the ball with tremendous field position. Instead, Belichick made the very bold decision to take a safety intentionally, causing the Patriots to fall further behind (26-23 at that point). However, the Patriots could now kick off from the 20 yard line, and a good kick sent the Broncos all the way back to their own 15 yard line. The Patriots defense stopped them in three downs, received the ball back with decent field position, and then Brady worked his usual magic. A short time later, he threw a touchdown pass to David Givens to win the game. In this case, competitive rivalry may have led to innovation, to a beneficial form of risk-taking behavior. In sum, the study confirms that competitive rivalry increases our propensity to take risk. However, the scholars make an important point. Such behavior may not always be detrimental to the organization. Sometimes, rivalry sparks innovation. The Affordable Care Act required Medicare to penalize hospitals with high numbers of heart failure patients who returned for treatment shortly after discharge. New research shows that penalty was associated with fewer readmissions, but also higher rates of death among that patient group. The article goes on to report some disagreement among researchers about the impact of this policy. Nevertheless, it notes concerns by some physicians about the possibility of unintended consequences and the desire by many to see further research on this matter. More broadly, this article reminded me that managers need to consider the law of unintended consequences as they establish policies, metrics, and procedures. For instance, managers may have great intentions when they create a new incentive compensation scheme. However, the reward system may cause behaviors that they did not foresee or intend to stimulate. In fact, they may see some adverse effects because of the ways in which their scheme distorted behavior. One can blame individuals for unethical behavior that emerges as people try to achieve ambitious targets and garner bonuses, for example. Or, one could ask: Did we create policies that unintentionally encouraged people to act in unethical ways? I'm not excusing bad behavior, but I am encouraging to think carefully about the systemic reasons for unethical action within firms. "What we found in this particular case — but I think it happens a lot — is that there were obstacles in the way of achieving these goals set by top management," said Treviño. "For a variety of reasons, the goals were unrealistic and unachievable. The workers didn't have enough training. They didn't feel competent. They didn't know the products well enough. There weren't enough customers and there wasn't even enough time to get all the work done." Facing these obstacles, middle management enacted a series of moves designed to deceive top management into believing that teams were actually meeting their goals, according to Treviño, who worked with Niki A. den Nieuwenboer, assistant professor of organizational behavior and business ethics, University of Kansas; and Joa᷃o Viera da Cunha, associate professor, IESEG School of Management. "Interestingly, what we didn't see is managers speaking up, we didn't see them pushing back against the unrealistic goals," said Treviño. "We know a lot about what we refer to as 'voice' in an organization and people are fearful and they tend to keep quiet for the most part." Freek Vermeulen of the London Business School recently penned an insightful blog post titled "Don't Be Fooled By Success." He explains three key downsides associated with benchmarking the top firms in your industry. First, he explains that managers often confuse cause and effect. The "best practices" that they observe might not be the driver of high performance, but instead the result of success. Second, managers forget that good fortune and the right timing might have had a lot to do with another company's success in the marketplace. Finally, some efforts to adopt others' best practices might lead to a short term gain at the expense of long run performance. Should You Take a Vote at the Start of Meetings? Vote first, vote often. Voting first results in maximum diversity of opinion. It’s difficult to disagree with the group, and maybe more difficult to disagree with the leader. The purpose of voting first is to uncover those who feel strongly one way or the other about something. If you want to poll again after discussion you can. Why might voting at the outset of meetings not make sense? Consider what happens when an initial vote takes place, even if you allow people to indicate that they are not sure how they feel about an issue. Some people will take a hard stance on an issue even before hearing from other parties who may have quite different views. We might find people shifting into advocacy mode before the problem has even been well-defined by the group. The vote may confine people's thinking to the options presented, rather than encouraging the generation of new alternatives. Opportunities to reframe the issue may become more elusive, since we have voted already on the problem as defined by the leader at the outset of meeting. What happens next? Will the vote exacerbate the confirmation bias? Will people examine data selectively, and in so doing actually find themselves polarizing further as the discussion takes place? Moreover, one has to be concerned if the meeting begins with a lopsided vote. Would the majority begin to pressure the "holdout(s)" to abandon their opposition and "get on board" with the team? In my mind, a meeting has to start with some exploration of the issues at hand, before we move into advocacy regarding particular solutions. We want to encourage people to share information, particularly data that others may not be aware of prior to the meeting. Leaders should stimulate a discussion about different ways to frame the problem, and the team should have a vibrant dialogue about alternaive solutions. We want people to try to understand others' thinking first, before shifting into advocacy mode. Voting early may actually diminish these important behaviors that lead to more effective decisions. Are you naturally curious? Do you love to learn new things? Do you ask questions, seeking to understand what you do not know? It turns out that curiosity can be very beneficial. Emily Campbell has written an article for UC-Berkeley's Greater Good magazine about the six key benefits of curiosity. 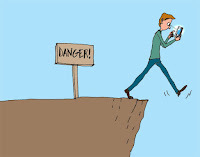 Curiosity helps us recognize dangers in our external environment. Curiosity helps us achieve "positive emotions, lower levels of anxiety, more satisfaction with life, and greater psychological well-being." Curiosity helps us become successful learners at school and at work. Curiosity enables us to understand others' circumstances, interests, and points of view. That level of empathy can be beneficial in numerous ways. Curiosity causes others to perceive us as "warmer and more attractive." As such, curiosity helps us build connections with those we meet and with whom we collaborate. Curiosity may enhance our physical well-being. Studies show that curiosity by doctors may lead to improved health outcomes, as they gain a better understanding of patients' concerns and conditions. This discussion of curiosity reminds me of one of my favorite quotes. “In the beginner’s mind there are many possibilities, but in the expert’s there are few.” – Shunryu Suzuki, Japanese Zen priest. The quote suggests that we need to be wary becoming closed-minded as experts in a particular field, and we must approach complex and challenging situations with the curiosity of beginners. Preparing for a Better Brainstorm: Tell an Embarrassing Story? My colleagues and I carefully watched these conversations unfold. The people told to embarrass themselves were initially taken off-guard and even apprehensive. But inevitably someone would jump in (“OK, I’ll go first….”) and, within minutes, the trios were laughing uproariously. The people told to boast had, by contrast, no trouble starting their conversations and appeared more composed. However, there was little laughter and only a few polite head nods on the teams. What happened in the brainstorming session itself? The scholars asked the teams to identify as many uses of a cardboard box as they could in ten minutes. The groups that began with embarrassing storytelling performed better than the "pride" groups in terms of both fluency and flexibility. How much better? They identified 26% more ideas during their brainstorming sessions, and the ideas ranged across 15% more categories than the "pride" groups. Why did the two groups perform so differently? The scholars argue that the telling of embarrassing stories, while awkward at first, helped the team members become more comfortable with one another. They let their inhibitions fall away. On the other hand, the sharing of "pride" stories may have "caused people to worry more about hierarchy and social comparisons." The climate became less safe and less conducive to taking risks. In our daily battle against the clock, taking time to step back and engage in a deliberate effort to learn from one’s prior experience would seem to be a luxurious pursuit. Though some 9 Data show that between 1973 and 2000, “the average American worker added an additional 199 hours to his or her annual schedule—or nearly five additional weeks of work per year (assuming a 40-hour workweek)” (Schor, 2003: 7). In the meanwhile, between 1969 and 2000, “the overall index of labor productivity per hour increased about 80 percent, 27 organizations increasingly rely on deliberate learning tools, as in the case of after-action reviews and post-mortems (Catmull, 2014), there has been little effort to encourage individuals to take the time to think about the past, rather than to do more and more. Articulating and codifying prior experience does entail the high opportunity cost of one’s time, yet we argue and show that thinking after completing tasks is no idle pursuit: It can powerfully enhance the learning process, and it does so more than the accumulation of additional experience on the same task. Performance outcomes, we find, can be augmented if one deliberately focuses on learning from experience accumulated in the past. Results from our studies consistently show a significant increase in the ability to successfully complete a task when individuals are given the chance to couple some initial experience with a deliberate effort to articulate and codify the key lessons learned from such experience. Why Don't We Reflect & Learn? Most leaders acknowledge the value of learning from past experience. Some organizaitons have established highly regarded best practices for deriving lessons learned from past projects. For instance, the U.S. Army pioneered the After-Action Review process, and it has documented the substantial benefits derived from the systematic use of this lessons learned methodology. Still, most leaders don't spend nearly enough time faciltating these types of activities or empowering their people to engage in this type of work. Why? What seems to be preventing these powerful learning experiences from occurring in organizations? The usual answer is time. We hear responses such as the following: "We would love to conduct postmorterms, but who has the time to perform that work?" "We are always rushing off to implement the next set of plans." "No one rewards you for taking time out to review and learn from past experiences." In my view, time represents a significant challenge, but these types of explanations often mask a deeper problem in the organization. What are the true impediments to engaging in after-action reviews? 1. Blame culture. People fear that the process will degenerate into a finger-pointing exercise, rather than a true learning experience. In these types of organizations, people fear talking about mistakes and how to learn from them, because they don't want to be accused of being part of the problem. 2. Lack of systemic thinking. In many organizations, explanations of past failure tend to be individualistic, i.e. who was the rotten apple that needed to be thrown out of the bunch? Learning organizations embrace systemic explanations for past success and failure, i.e. was the barrel rotten, and therefore, did it spoil some of the apples? Systemic explanations for failures do not preclude managers from holding people accountable for negligent or irresponsible acts. However, they help managers understand multiple factors that may contribute to success and failure. 3. Attribution error. Psychologists have shown that people often attribute others' failures to character flaws, lack of expertise, or other internal deficiencies. However, we explain our own failures quite differently. We blame external events or factors beyond our control. Such distortions in our attributions may explain why we do not engage in lessons learned exercises as frequently as we should. 4. Low leader self-awareness. In some enterprises, leaders have tried to facilitate such after-action reviews, and the efforts have not been fruitful. Thus, they choose not to spend time performing them again. However, these leaders often are not aware that their presence and influece during the after-action review discouraged candid dialogue. Thus, the group did not generate powerful lessons learned, as people refrained from discussing the tough issues. Leaders sometimes lack the awareness to recognize how their behavior and presence may have distorted the dialogue during an after-action review process. What Type of Projects Receive Support on Kickstarter? 1. Credibility: People might view a project as too good to be true if it claimed to be highly novel and very practical/useful. 2. Risk aversion: Perhaps funders wanted to invest in projects that they deemed feasible and likely to become implemented effectively. They might have deemed the projects that claimed to be both novel and useful as highly risky. 3. Polarization: Truly breakthrough innovations often can be polarizing. Some people are fans, while others are haters. Consider how people often reacted initially to breakthrough products such as the iPod. Something claiming to both novel and practical might have a polarizing impact. Your boss stops dropping by your desk with suggestions. You’re left out of important meetings you used to attend. Once-friendly colleagues start to avoid you. You never get any feedback. You never ask for any feedback. You start comparing yourself to mediocre peers rather than stars. You’re not sure what your boss cares about. You don’t care what your boss cares about. In general, the article focuses on the problem of low self-awareness. In too many instances, people do not recognize their own under-performance, or understand their weaknesses in the eyes of their boss. Shellenbarger cites a particularly compelling academic study published in 2014 by Oliver Sheldon, David Dunning, and Daniel Ames. These scholars found that people's overly optimistic views of their own performance tend to persist even in the face of critical/negative feedback. In fact, low performers tend to dispute the legitimacy of that feedback or the person who provided it. Finally, their studies show that high performers tended to be more interested and willing to pursue self-improvement strategies with regard to issues such as emotional intelligence. Consequently, it would appear that the stronger performers only get better, while the low performers miss key opportunities to develop their capabilities. Companies, of course, would prefer to reveal as little as possible. And then there's Amazon.com Inc., which takes financial disclosure stinginess to the next level. So far, investors have been fine with it. They see one of the world's most ambitious companies and a stock price that has quadrupled since 2012, and happily toss aside their Amazon spreadsheets filled with question marks. But Amazon's thriftiness with financial disclosure could backfire. Secrecy is acceptable when companies are doing well. It becomes suspicious when things go south. Ovide writes that Amazon provides quarterly earnings projections that are "comically broad." Ovide explains that the company "loves to show charts without labels" and provide investors and analysts with "reams of fluff." Bezos, I believe, would rebut Ovide's observations by explaining that Amazon does not manage for quarterly earnings or to meet short-term investor expectations. He is managing for the long term, and he's putting the customer first. That's his story, and he's sticking to it. In fact, he's stuck to it for 22 years, profits be damned. Ovide does make an important point though. This attitude about disclosure works beautifully until a company stumbles. If and when that happens to Amazon, the willingness to accept very limited disclosure will change. In fact, it may change quite suddenly if Amazon falters. For now, though, Amazon gains a key competitive advantage through its limited disclosure policy. Competitors don't know the types of details that they would love to have access to as they formulate their strategies. Once again, Bezos has found a way to gain the upper hand. Some of his key rivals have to play by a different set of rules. Not only must they turn a sizable profit to please investors, but they must disclose much more information. 1. Make time for environmental scanning on your agenda. Carve out space on your calendar each week to learn about new technologies, products, or competitors. Dedicate some time each year to attend a conference, speaker, or workshop that falls outside of your normal routine. If you don't make time for scanning, it's easy to allow other duties to crowd out this key activity. 2. Identify some young people in your organization with whom you can connect on a regular basis. Talk to them about social and technological trends. Compare and contrast how they use their smartphone, computer, television, automobile, and other devices differently than you do. Inquire as to how their consumption patterns might differ from yours (currently or when you were their age). 3. Make it a habit to read the major SEC filings of your competitors. Don't just read the articles that appear in the Wall Street Journal. Dig into the details found in those financial reports. Read what analysts are saying about the competition as well. Consider listening to a few earnings calls from your rivals. It's amazing how many managers have never actually dug into these types of documents. They rely on journalists to tell them about major events taking place in their industry without studying the competition more closely. 4. Take a look at what your suppliers are doing. Many environmental scanning efforts focus on customers. That's important, naturally. However, you can also glean a great deal of information from your partners and vendors in the supply chain. How is their business changing? Are they selling to different people? Have their portfolios of products and services changed? Have any of them started to vertically integrate? Suppliers must adapt as they see changes downstream in the value chain. Watching for those adaptations can tip you off to key trends in your market.